The Summer House was my first Hannah McKinnon book, and I think it's safe to say it will not be my last. It was filled with love, heartbreak, plenty of drama, and a real family. I always love books that deal with real life situations instead of perfect cookie cutter families with no issues whatsoever. The characters were unique and I found myself relating to each of them in one way or another. McKinnon's writing style was engaging and kept me entertained from start to finish. I loved the setting and I was constantly wishing I was sitting on the beach with the whole Merrill family. Each of the characters had their own drama and they were trying to hold it all in instead of leaning on each other. The bottled emotions caused some extremely intense scenes throughout the novel and made me flip the pages faster and faster. I kept wanting to scream at them to communicate, but we all know the lack of communication often adds to the intrigue and buildup of a novel. 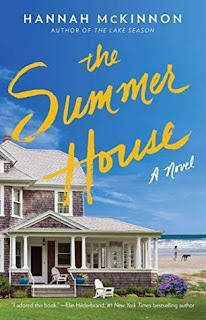 All in all, The Summer House was an entertaining beach read and I would recommend it to readers who enjoy a little romance, a lot of family drama, and even a few tears here and there. I thoroughly enjoyed this novel and look forward to reading more from McKinnon in the future. A huge thank you to Atria Books for sending along a review copy! 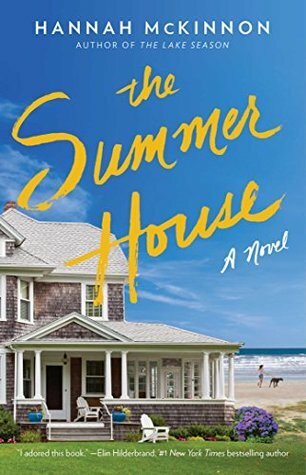 Head to your nearest bookstore today and pick up your copy of The Summer House!